Home » bonsania » monument » rocks » Amazing monument in Bosnia! 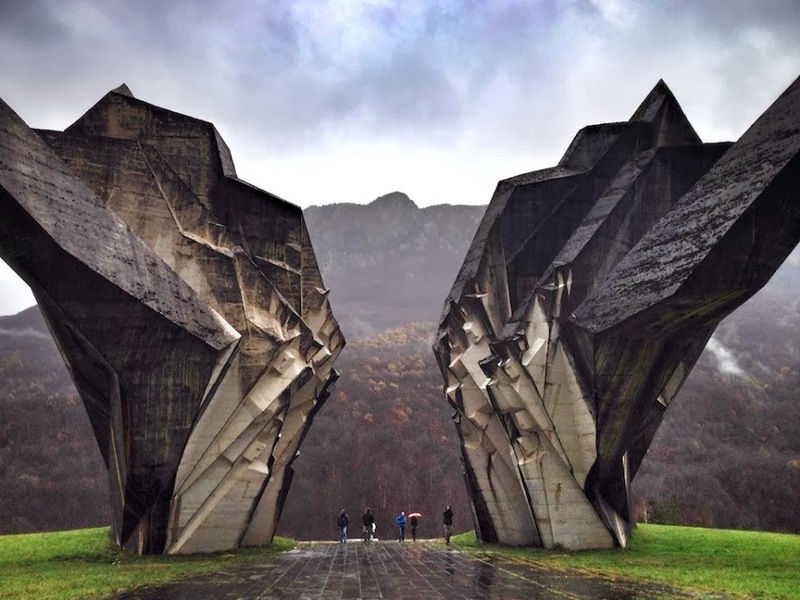 These structures were commissioned by former Yugoslavian president Josip Broz Tito in the 1960s and 70s to commemorate sites where WWII battles took place (like Tjentište, Kozara and Kadinjača), or where concentration camps stood (like Jasenovac and Niš). They were designed by different sculptors (Dušan Džamonja, Vojin Bakić, Miodrag Živković, Jordan and Iskra Grabul, to name a few) and architects (Bogdan Bogdanović, Gradimir Medaković...), conveying powerful visual impact to show the confidence and strength of the Socialist Republic. In the 1980s, these monuments attracted millions of visitors per year, especially young pioneers for their "patriotic education." After the Republic dissolved in early 1990s, they were completely abandoned, and their symbolic meanings were forever lost. From 2006 to 2009, Kempenaers toured around the ex-Yugoslavia region (now Croatia, Serbia, Slovenia, Bosnia and Herzegovina, etc.) with the help of a 1975 map of memorials, bringing before our eyes a series of melancholy yet striking images. His photos raise a question: can these former monuments continue to exist as pure sculptures? On one hand, their physical dilapidated condition and institutional neglect reflect a more general social historical fracturing. And on the other hand, they are still of stunning beauty without any symbolic significances.